Know more about routes and how to use them with the mobile apps. Routes are site specific. And you will need to select a site to add your routes. To create a new route, click on add new. 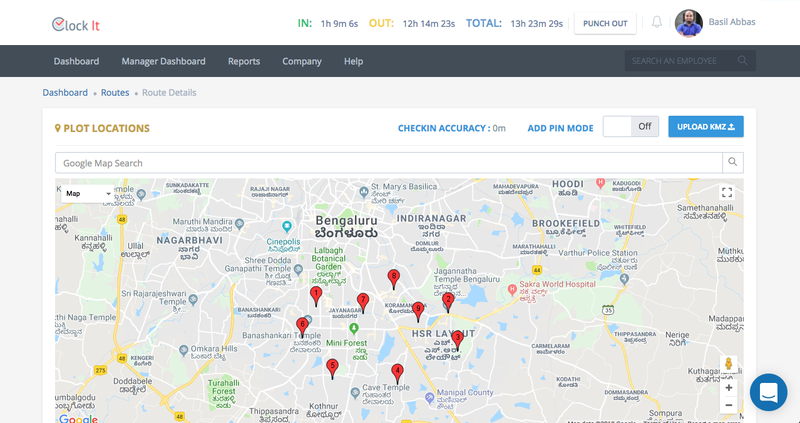 Fill in the basic details like the route name, a description for future reference, the checkin accuracy (radius) and the GPS accuracy (GPS signal strength) and your units for the accuracy. These accuracy settings are route specific and will not be taken from the punch settings. Entering 0 for the checkin accuracy means that the user can punch from anywhere and radius checking is disabled. After you fill in these details, click save. You should find your route created in the table. The table also has additional fields that can be accessed by the keyboard left and right arrow keys, in case you are using a small monitor. Use the action buttons to either edit or delete your route. Next you will need to add locations to your route. 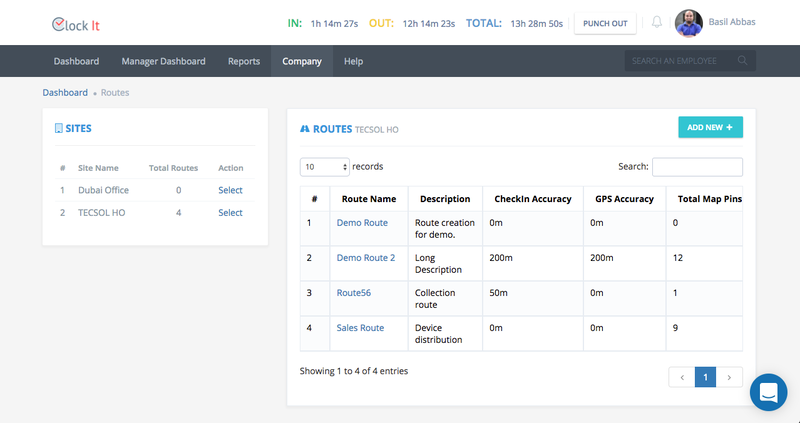 Click on the route you created to add locations. 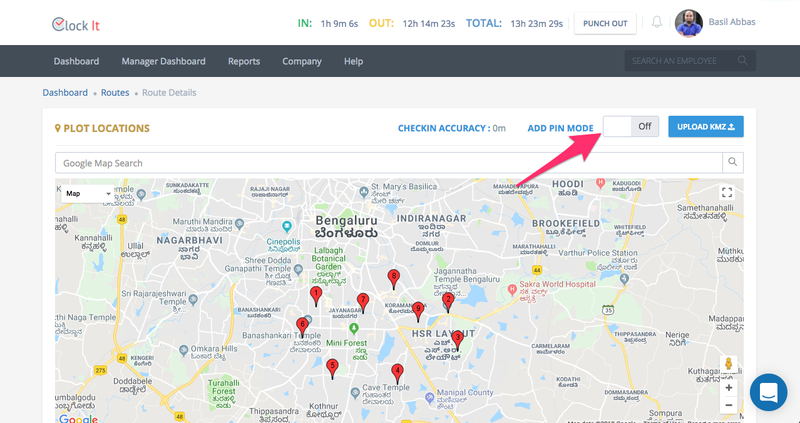 To add pins, turn on the add pin mode and drop pins on the map using your mouse and Google Maps. You can also search for a location using Google Maps Search and then get a reference point to drop your pin. All the pins that are added will show up on the table below. 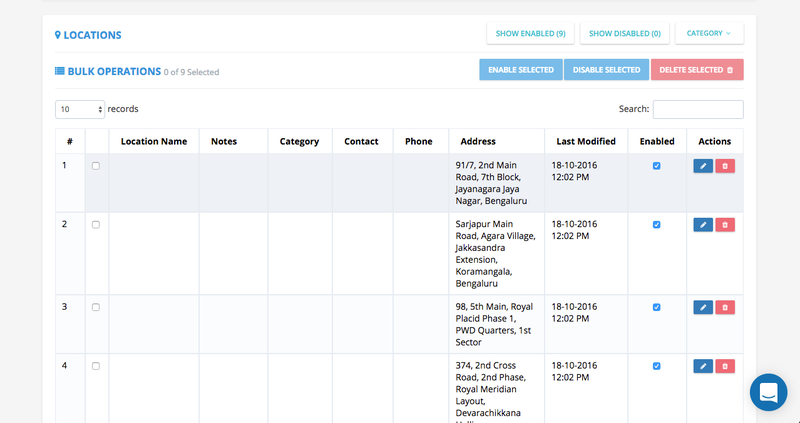 From this table you can further add details to your routes. Click on the edit icon and update the location information. 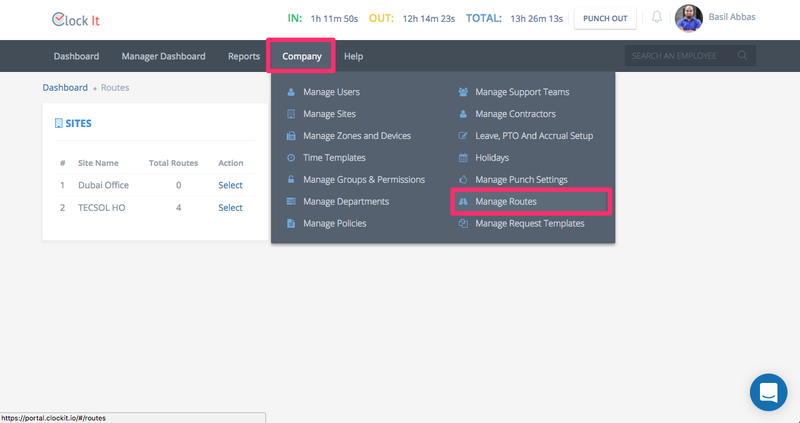 You can also enable and disable routes individually or in bulk. Only enabled locations are shown to the user on the mobile app. 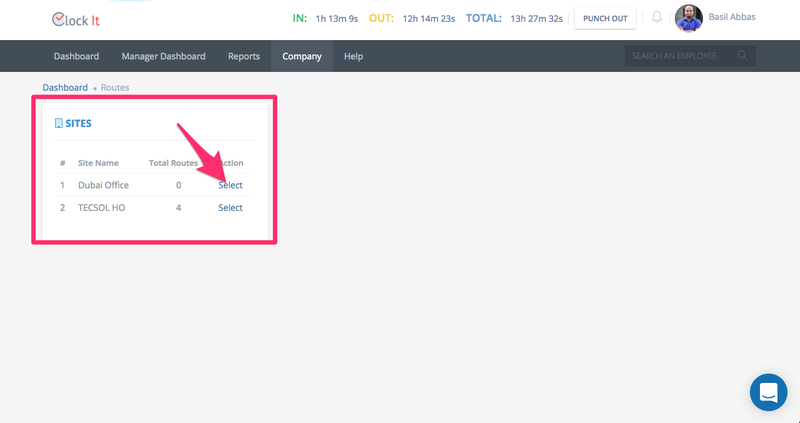 Quick filters on top will allow you to filter the data in the table. 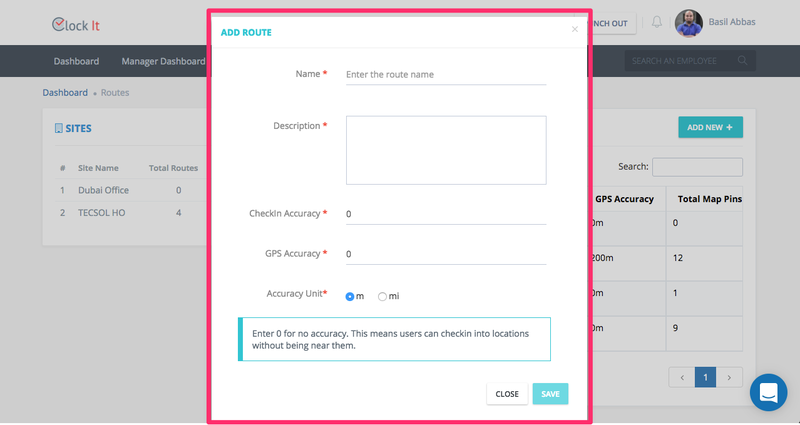 After your route has been created, you will need to assign it to a user to be completed. Know more about assigning routes to a user.